Togo Support, a project conceived and created in 2003 by Uintah Shabazz with her Togolese partners, Leonard Mingoube and the late Gerson Hadzi, is committed to improving opportunities for good health, education, women’s empowerment, and environmental protection for villagers in the West African country of Togo. 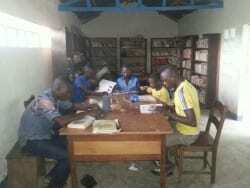 Most projects are carried out in the rural village of Nanoume, in the savanna district. In August 2011, this project was taken under the care of the Boulder Friends Meeting. We facilitate the right sharing of resources via the transfer of wealth from those who acknowledge having more than they need and are eager to share, to Togolese people in need. We use this wealth to provide access to basic quality-of-life necessities via education, economic opportunity, human health, and health of the natural environment. 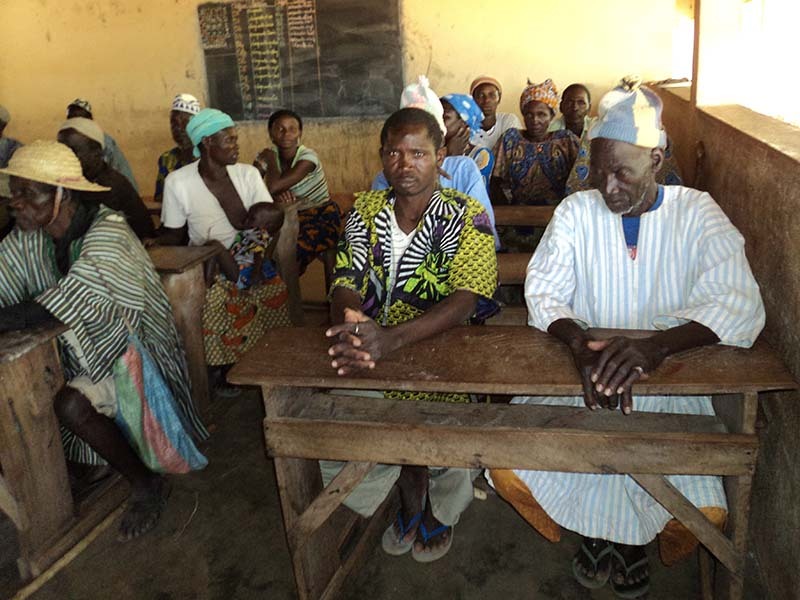 Priority is granted to those Togolese people who demonstrate the motivation and capacity to improve the quality of life within their communities, with emphasis on women and children, and on those living in the village of Nanoume. 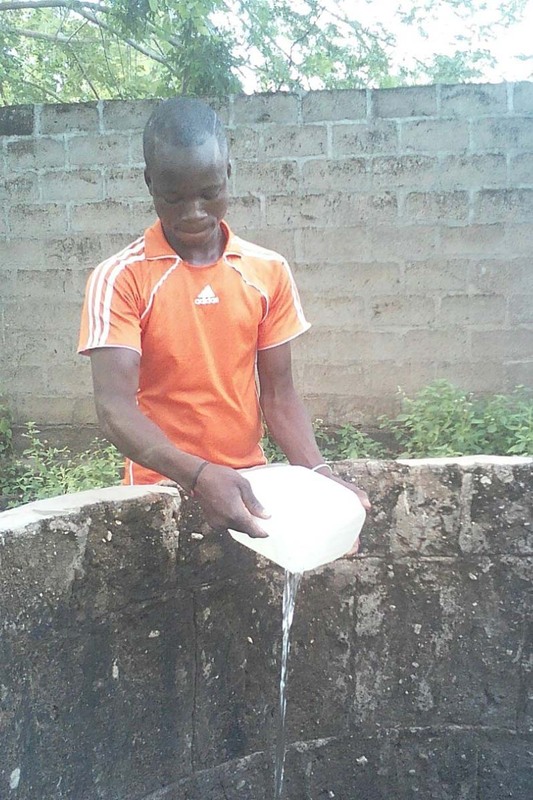 Togo Support continues its annual middle school scholarship program, and the well water treatment program which expanded in 2016 to include all wells in the village of Nanoume. 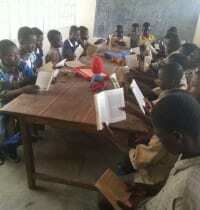 Every year Togo Support sponsors ten middle school students from Nanoume, which has no school beyond the primary level. 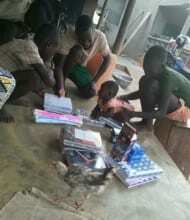 In order for students to continue their education, they must travel to one of three nearby towns daily. This requirement places an extra burden on families, who not only need to support their child in that transport, but also lose much of the household labor which that child could provide if they were not continuing their studies. In Togo, a primary school certificate is socially a fair equivalent of a high school diploma in the U.S. For a farming village family to agree to and support a child’s continued education requires commitment. Togo Support enables that commitment – especially for orphans and for girls, for whom education seems especially unimportant to many Togolese farmers – through “scholarships” granted to motivated students recommended by their teachers. They receive 12,000 cfa (~$21) in a village ceremony that acknowledges the students and their families for their efforts. Water-borne diseases including typhoid take a heavy toll on the lives of Nanoume villagers of all ages. 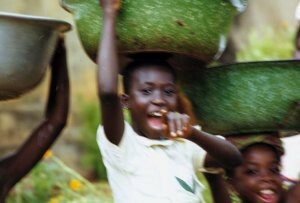 Every year Togo Support provides a gradually decreasing portion (currently 80%) of the funds needed to purchase chlorine to treat the village wells throughout the year. The treatment is carried out by trained village volunteers using Togo Support purchased materials, and supervised by regional technicians. Villagers who use the wells are required to contribute towards the remaining cost of the chlorine, which helps everyone to recognize the value of clean water. Since 2016, all of the wells used by the Fulani villagers were included, in addition to the wells in the Moba areas of the village. Villagers have agreed to continue increasing their contribution to this cost. Uintah and Leonard’s gratis work for Togo Support provides “big bang for your bucks”, as 95% of all funds go directly to essential project expenses. We never use contributions for fund raising. Sponsorship of this project by the Boulder Friends Meeting is coordinated by an Oversight Committee, currently consisting of Mary Downton, Judy Huston and Maria Krenz. For more information about Togo Support you may contact Uintah at Nanoume.Togo@gmail.com. To donate by mail, send a check to Treasurer, Boulder Friends Meeting, P.O. Box 4363, Boulder, CO 80306. Make the check payable to “Boulder Friends Meeting” and write “Togo Support” in the Memo line. To make an online donation via PayPal, click “Donate”, then enter “Togo Support” in the Purpose box. (PayPal charges us 2.9 percent plus $0.30 per transaction.) You do not need to join PayPal to use this service, you can choose to use your credit card. To make an online donation, enter any specific cause you wish to support in the “Purpose” box, then click “Donate”. You may need to enter it twice; the second time the space may look like this: . If you have a specific purpose or cause, please click on the plus sign and enter the information again if you see the plus sign; thank you.